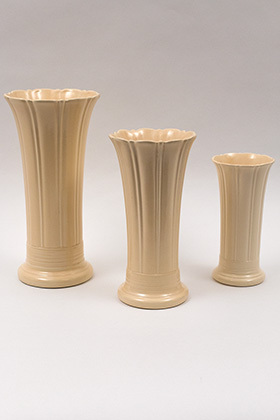 Circa 1936-1942: The Vintage Fiesta flower vase will be the highlight of your tablescape, and the possibilities are endless when showcasing the most transcendent of the Vintage Fiesta pottery lines shapes. 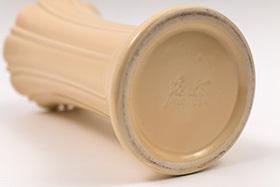 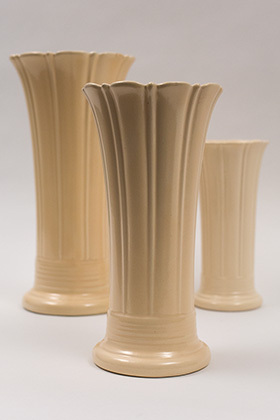 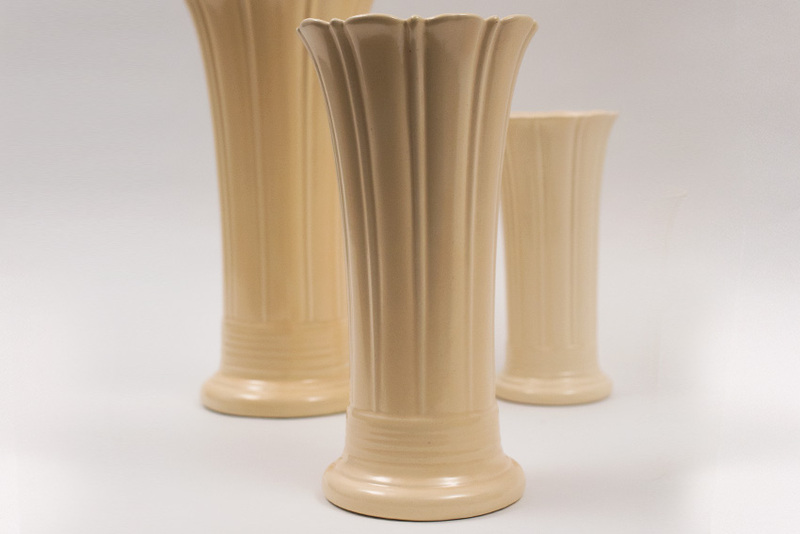 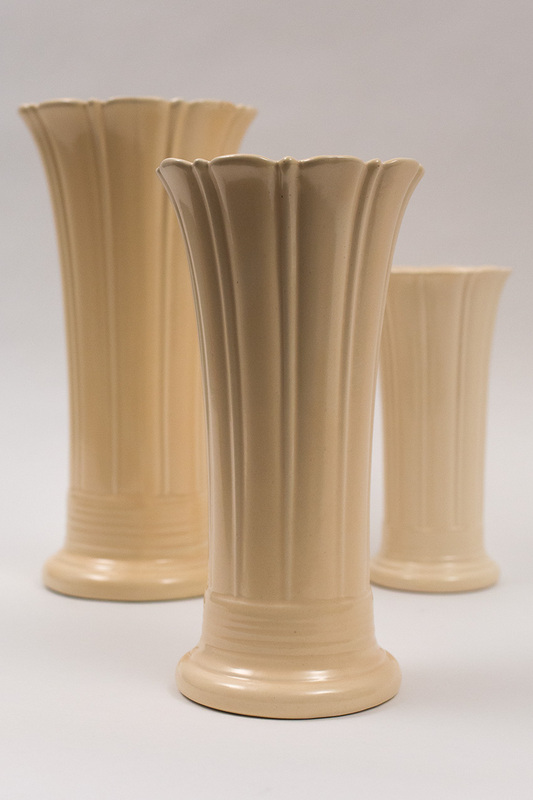 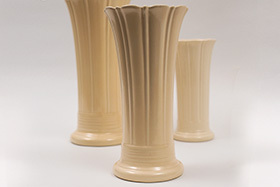 Finding the original ivory glaze vases in nearly unused condition, and as clean as the day they were made, is no easy feat. 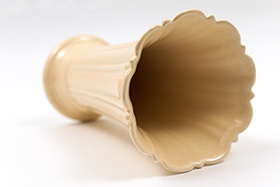 This example is delightful. 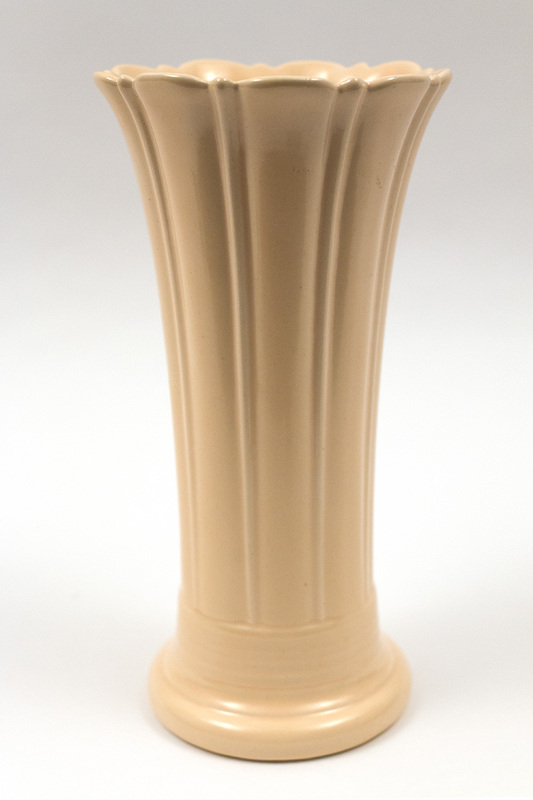 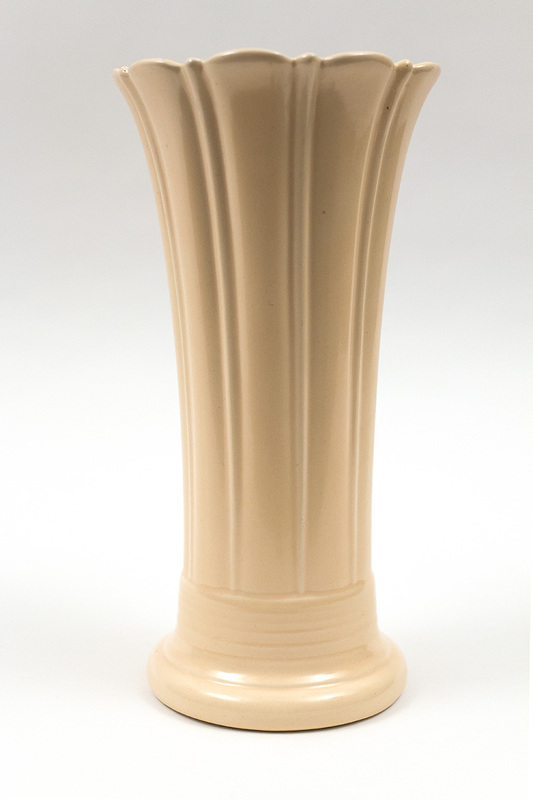 No chips, no cracks, no touchups or repairs, no scratches mar its vellum surface, no silver marks, no glaze irregularieties, just a beautiful piece of the early Homer Laughlin Art Deco inspired art pottery flower vase. 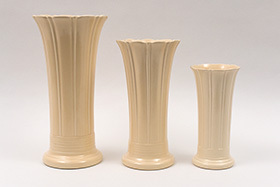 Measures 10"h x 5 1/8"w at top.